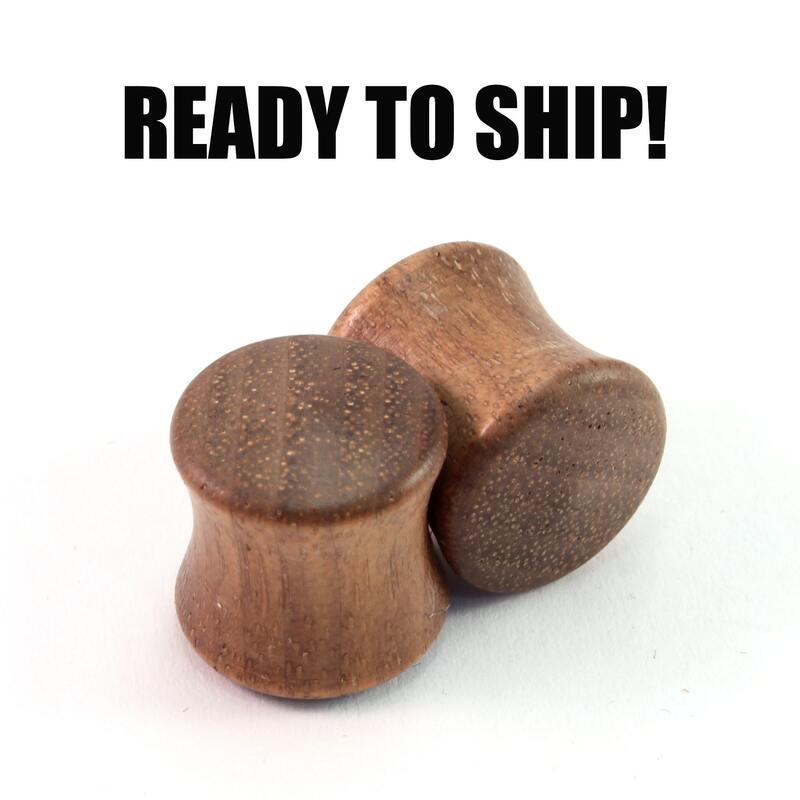 READY TO SHIP - 00g (10mm) Walnut Dull Finish Blank Wooden Plugs - Pair - Hand-Turned - Premade Gauges Ship Within 1 Business Day! READY TO SHIP - 00g+ (10mm) Walnut Dull Finish Blank Wooden Plugs - Pair - Hand-Turned - Premade Gauges Ship Within 1 Business Day! These simple wooden plugs are made of Walnut with a dull finish. They have a wearing size of 00g+ (10mm). This listing is for a premade pair of plugs that will ship within one business day of placing your order. The pair of plugs in the photo is the exact pair you will receive! Hand turned by K.C. Peck in Central PA. Finished with carnauba wax, a vegan plant based wax. Provides a nice, smooth shine from a natural, animal-free source.